Home movie nights just got way more awesome! 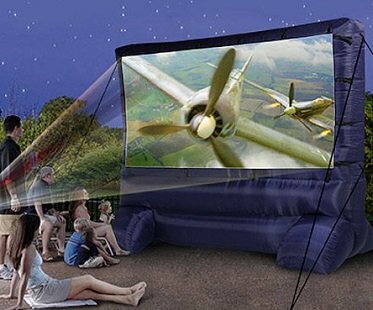 Get comfy outside with some blankets, cushions and popcorn while you enjoy your favorite films watched on this inflatable movie screen! Includes everything you need to get going; tethers, yard stakes, a fan and a storage bag.